"God called me through a passion for music, and that passion is growing with every turn of my life." 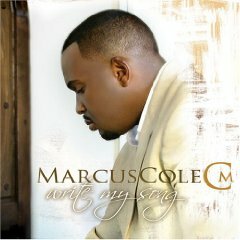 Marcus Cole, whose solo album, "Write My Song," debuted last year, has been ministering through his music since he was a child. In an interview with ChristianMusic.com, he talked about his music, his ministry and his life. "I grew up in Saginaw, Michigan, the youngest of five children. We had a family group. Singing in church became a release for me," Cole says. "Community Temple Church for God and Christ. I sang in the choir and our family sang as a group in church." When he was fourteen, the family moved to Danville, Illinois. After school, Cole returned to Flint, Michigan, to work in the music business. One day he saw a girl whom he had not only grown up with but who had lived on the other end of his block. "I knew who she was right away. I couldn't forget that face," says Cole. "It wasn't until we were dating that I told her I was the guy who used to throw rocks at her to get her attention." That girl, Anissa, became his wife. 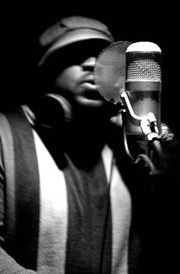 Honing his skills as a Gospel and R&B singer, Marcus Cole moved with Anissa to Atlanta for a short time. His big break, though, came once again in Michigan. Singing in a showcase for Jive/Verity Records, he struck up a conversation with Mitchell Jones of the legendary Gospel group 'Commissioned'. "We were just talking about music," Cole explains. "He didn't mention joining the group then." "A few months later, they called me and asked me to come to Grand Rapids to audition. So I did and then the next thing I know I'm singing with them in a New Year's Eve concert at Radio City Music Hall. That was my first time with Commissioned and Marvin Sapp's last." 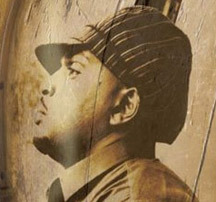 That was 1998 and Cole stayed with the group through its breakup, recording a Christmas album, "Time and Seasons," and the famous Reunion album in 2004. "It wasn't really a breakup as much as a dissolve," he says. "With the Reunion album, which I was flattered to be a part of, it was the culmination of the group - for both old members and new members -- and it was time to move on." Like other members of 'Commissioned', Cole doesn't just sing the Gospel, he preaches it, too. At the invitation of Sheryl Brady and Bishop Joby Brady of The River church in Durham, North Carolina, Cole, Anissa, and their four kids, ages six through sixteen, moved to North Carolina five months ago. 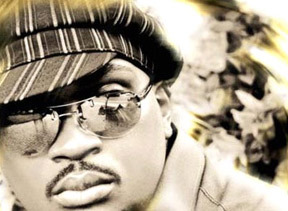 Marcus Cole is a Worship Minister in the nondenominational church. Besides his duties in services, he also joins the Bradys at conferences and in other worship opportunities. He is starting an album next month with The River Church choirs. 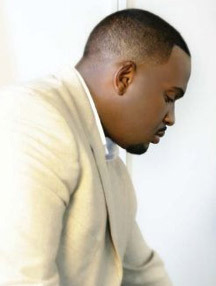 He also does concerts around the country as well as joining nine-time Grammy winner CeCe Winans in concert. Winans is head of PureSprings Gospel, which signed Cole last year. He will start working on a worship album in February. Marcus gets his musical inspiration from a variety of sources. "I have a very eclectic ear," he says. The Winans, Donny Hathaway, Stevie Wonder, Rascal Flatts, James Taylor and Shania Twain are just a few of his favorite artists. "I stay fresh and inspired listening to all kinds of music." And it is no doubt that both his ministry and his music will remain both fresh and inspired. "The music I sing is about my relation with God," Cole says. "The more I learn about God, the sweeter the music is for me.